Browse through the shop and select which of the six designs best suits your style. Once you place your order, you will receive a warm welcome to our online portal, Honeybook. From there, you will be prompted for your language details, customizations, and enter the exciting proofing phase. 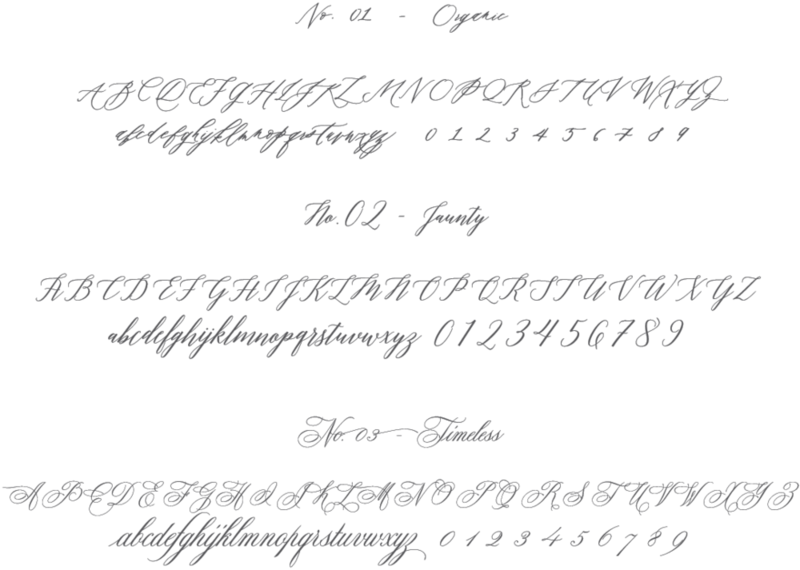 Some suites portray full or spot serif or san-serif typefaces. 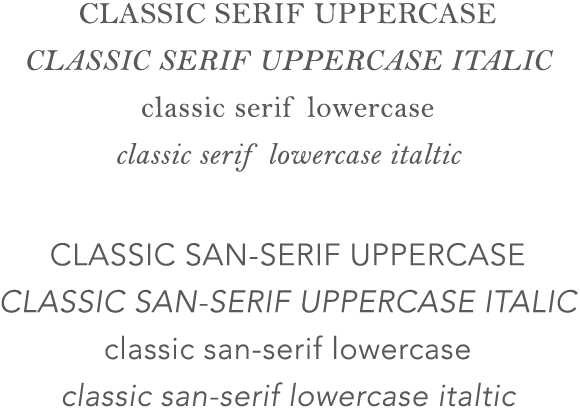 You may select between the classic serif or the classic san-serif below. Rest assured that you may certainly do so. Don't worry, these details will be asked in your language form that we will send your way after placing your order. If you would like to include a venue sketch, either digitally or within your stationery design, you may do so. Venue illustration is included in ALL map card designs. 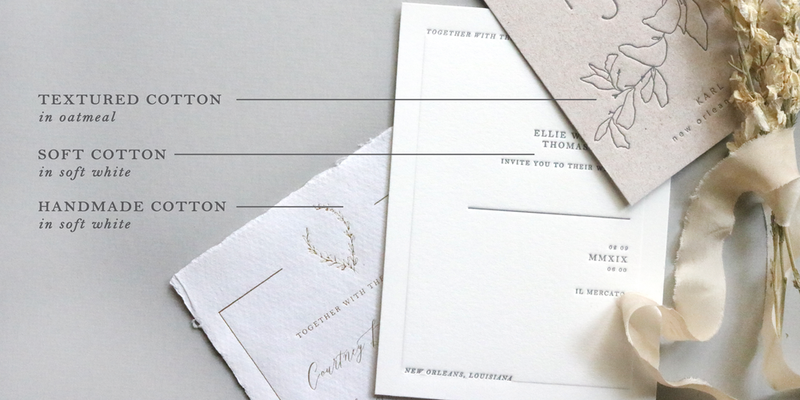 If you would like to include a venue sketch on a stationery piece and have not purchased a map card, you may add a venue illustration to your cart. 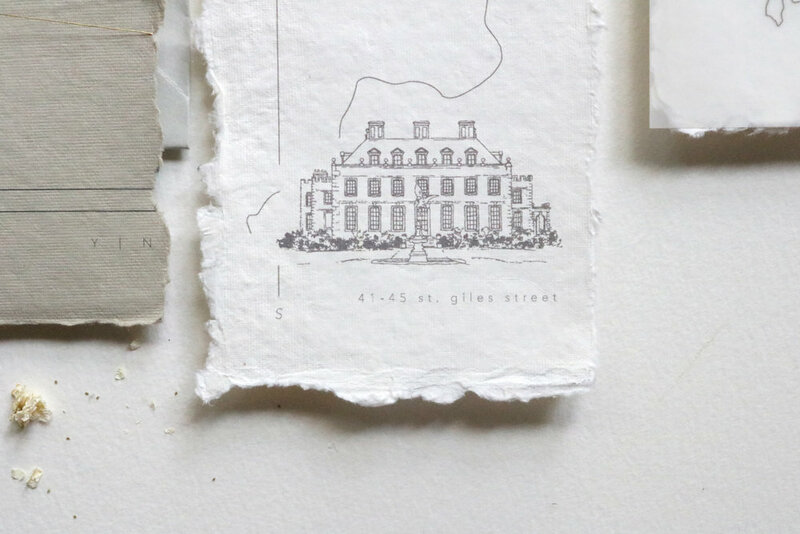 If you would like to include a venue sketch on a stationery piece other than a map card and you have purchased a map card, you do not have to purchase a venue illustration add-on. Vintage stamps are, like their name, vintage. Most wedding postage sums to $0.71 and up. If you'd like to use vintage stamps, you would simply make up the postage amount needed. This may be made up by using a $0.21, $0.30, $0.15, and $0.06 stamp se to equal your $0.71 needed. 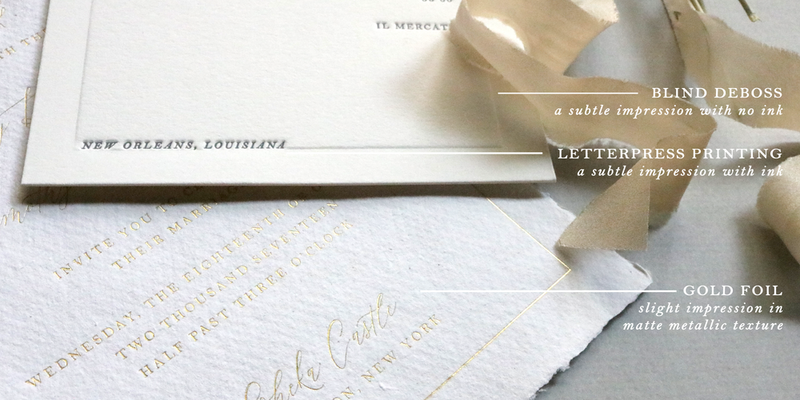 To add vintage stamps to your order, you need to first add a curation fee. This is a fee to collect a stamp design together based on your postage needed. The cost of your postage may vary depending on the selection chosen. Vintage postage is not priced at face value, often 3-5 times more (a $0.20 stamp may cost you $0.60). You will be invoiced separately for the balance. If you would like add guest addressing to your package, you may do so. Return addresses and reply envelope addressing are included already. In order to add guest addressing, simply add the "guest addressing deposit" to your cart when you check out. We will send a pre-formatted guest list template for you to utilize and submit your guest list. Production will not begin until your guest list is submitted. Guest Addressing is $2.15/envelope. You will be invoiced separately for the balance (less the deposit). WHAT IS THE AVERAGE TURNAROUND? WHAT IF I WANT A DIFFERENT INK COLOR THAN ONE OFFERED? ARE THERE DIFFERENT SHADES OF FOIL OFFERED? CAN I HAVE MY GUEST ADDRESSES PRINTED? WHAT HAPPENS IF THERE IS AN ERROR OR OMISSION? CAN I CHANGE MY PAPER TYPE? DO YOU OFFER FLAT OR DIGITAL PRINTING? CAN I ORDER EXTRA ENVELOPES? HOW DO VINTAGE STAMPS WORK? WILL MY RETURN AND REPLY ADDRESS BE PRINTED?